Following on from ‘Walking the western front: Ypres’ comes the first in a three part series about the Somme campaign of 1916, this opening DVD focusing exclusively on the infamous opening day. The DVD is again fronted by producer and director Ed Skelding acting as interviewer to ‘guest historian’ Nigel Cave. The pair start their journey at the northern end of the battlefield and work their way south along the frontline of 1st July. 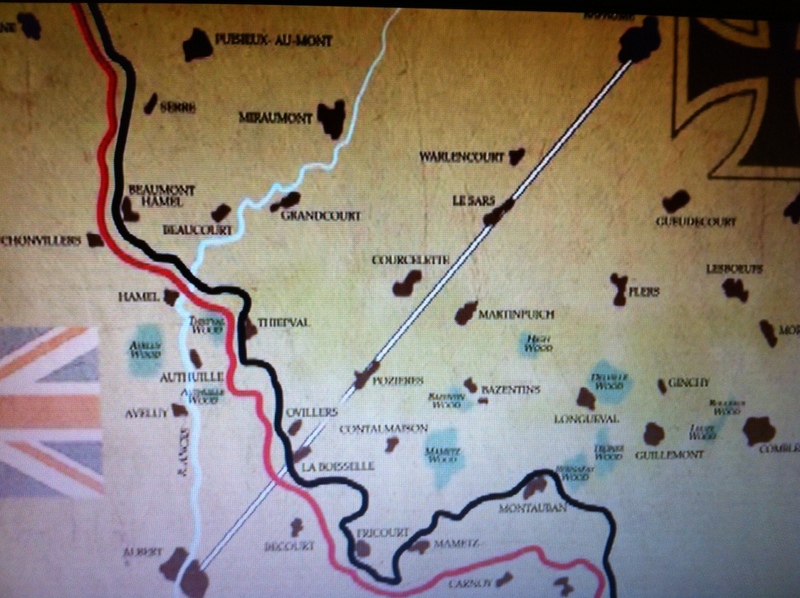 As well as covering the action at many of the key locations (including Gommecourt, Serre, Beaumont Hamel, Thiepval, La Boiselle, and Montauban), other aspects of the 1st July are discussed, such as the Pals battalions and Kitchener’s new army, battlefield burials and cemeteries, and the filming of the battle by the British official cinematographer Geoffrey Malins. On screen maps are used to show where they are in relation to the action. The dialogue appears generally unscripted, with Skelding directing the conversation and asking pertinent questions to Nigel Cave, who explains things comprehensively but clearly. Phillip Robinson of the Durand Group and Teddy Colligan, custodian of the Ulster Tower, also appear to talk about relevant aspects of the opening day’s action, the former regarding the mining operations that took place and the latter providing some interesting detail about the Ulster tower and the reconstructed trenches in Thiepval wood. As any visitor to the battlefields will know, although scars of the war are still visible, the landscape has largely recovered from the onslaught of shelling and trench warfare. Whilst the camera work does a good job of showing the rolling landscape of the Somme today, the presenters could have done more to link the actions they are talking about to the landscape and its features. 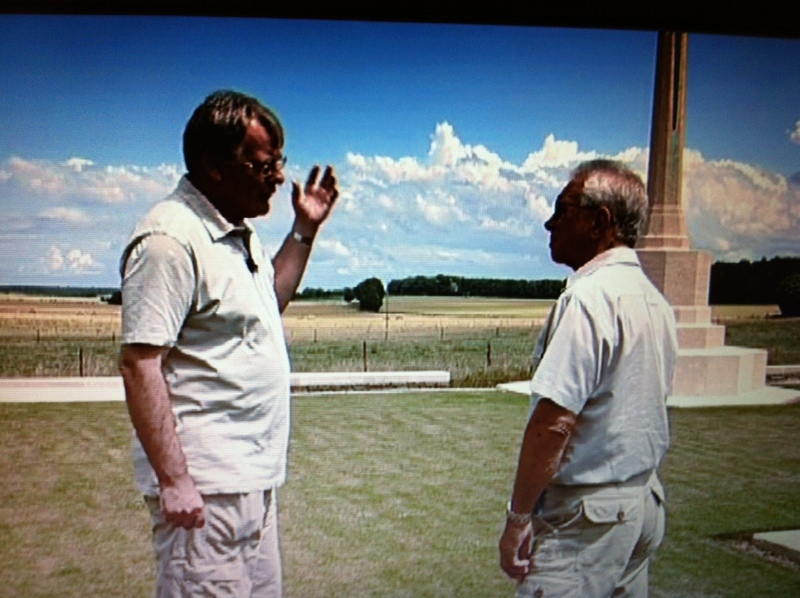 A couple of errors niggle, for example the assertion that Billy Nevill’s 8th East Surreys were part of the 30th Division rather than 18th, but overall the DVD is well researched and presented, with Ed Skelding in particular coming across as very polished. For the experienced battlefield visitor there may be little here to whet the appetite, but for the uninitiated the DVD provides a good visual introduction to the battlefields as well as a rounded account of the actions of the 1st July 1916. Parts two and three of the series cover the remainder of the 1916 campaign and will be released later this year.